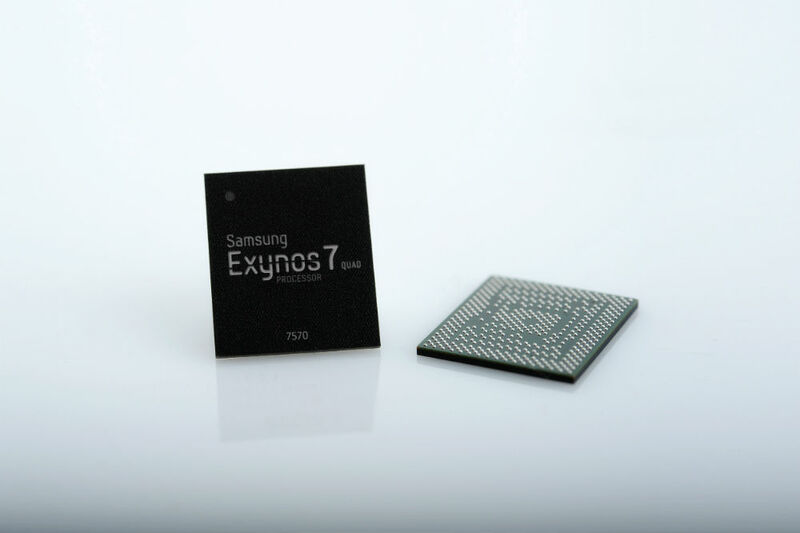 Samsung has begun mass production of the Exynos 7 Quad 7570, otherwise known as the Exynos 7570. The silicon is designed to bring high-end performance to budget-friendly devices, built on 14nm process technology. According to Samsung’s press release, the Exynos 7570 features four Cortex-A53 cores, delivering 70% improved CPU performance and 30% improved power efficiency. The new Exynos also offers a “completely connected” mobile experience by baking in a Cat. 4 LTE 2CA modem, plus various connectivity solutions such as WiFi, Bluetooth, FM radio, and GNSS. Additionally, thanks to design optimization, the Exynos 7570 reduces the chipset size by roughly 20%, allowing smartphone makers to create slimmer devices. If you find yourself more concerned about what Samsung has planned for its more high-end devices, keep your ears open for “Exynos 8” or even a possible “Exynos 9” chipset later this year. It’s about time to start hyping the Galaxy S8, right?